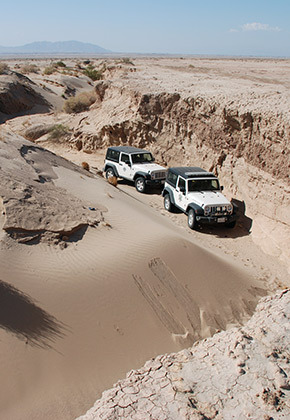 As part of preparing the Ocotillo Wells State Vehicular Recreation Area (SVRA) Plan, the California Department of Parks and Recreation, Off-Highway Motor Vehicle Recreation (OHMVR) Division and the Bureau of Land Management, El Centro Field Office (BLM) held a formal public scoping period that began on February 9, 2015, and concluded on April 6, 2015. Over 300 submissions were received during the scoping process, including comment cards, comment letters/emails, and website submissions. Thank you to everyone who provided input during the scoping period for the Ocotillo Wells SVRA Plan. The Scoping Summary documents input that was collected during the scoping period. This input will inform the development of the Preliminary Ocotillo Wells SVRA Plan and the Draft Environmental Impact Report/Environmental Impact Statement (EIR/EIS). The OHMVR Division, in cooperation with the BLM, is preparing a General Plan/Recreation Area Management Plan/California Desert Conservation Area Land Use Plan Amendment (General Plan/RAMP/LUPA; or “Ocotillo Wells SVRA Plan”) and associated EIR/EIS for Ocotillo Wells SVRA. The Ocotillo Wells SVRA Plan will establish a benchmark for land managers, staff, and the public to evaluate decisions about Ocotillo Wells SVRA over the long term. The Ocotillo Wells SVRA Plan will guide future and day-to-day decision-making, and will serve as the basis for developing feasibility and management plans, planning and implementing projects, and conducting other management actions. The current Ocotillo Wells SVRA General Plan was developed by California State Parks, OHMVR Division, Ocotillo Wells District in 1982 following the designation of Ocotillo Wells as an SVRA in 1976. Ocotillo Wells SVRA Plan will reflect changing conditions and issues, and will incorporate lands acquired by Ocotillo Wells SVRA after 1982 and lands managed by the BLM within the boundary of Ocotillo Wells SVRA. If you'd like to receive email updates about the project, please consider signing up for a user account by entering your email address below. © Copyright 2019 California State Parks.